Why did the fiddler cross the road? It was the chicken’s day off.What’s the difference between a fiddler playing in “D” and a locksmith? A locksmith knows how to change keys, and can get paid for it ! What’s the difference between a fiddle and a dog? One knows when to stop scratching. This entry was posted in Fiddle Jokes, Music Jokes on August 9, 2013 by artsfun1. Fiddle music for violinists who want to get into playing bluegrass music on stage or just step on the porch. A collection of musical pieces, and bluegrass information aimed at making the leap onto the bluegrass scene. Julie has put together the pieces that most fiddlers have a hard time finding when they are first starting out. This helps get a beginning collection of playable pieces “show” ready. The book is brand new, but many of the pieces are traditional, except for a few brand new compositions that are sure to join in the fiddler’s choices on stage. The Crescendo Publication dept. is making this book available now by contact with the Crescendoarts1@gmail.com, and if you contact us this way, the proofing copy is available at only $10.00. Yes, we know it is a harder way to get something, but we are just getting the blog working and the shopping cart is still being put together. So, we decided to get the book up and out there as we grow our site. Thanks for stopping by and we will post some samples of both the music and the book pages in a few days. This entry was posted in front page and tagged Crescendo, fiddle music, Julie Stein, new bluegrass music, original bluegrass music, red fiddle book on August 5, 2013 by artsfun1. Me with my string camp shirt. My name is Anthony Stein or Artsfun1. This is the 2012 shirt for crescendo string camp. All the string campers got one of these shirts. I also have a 2013 shirt I will try to find it and post it up so you can see it. So yes this is me I the big blogger writing these things. I do these thing at my grandparents house. I also learned today how to post pictures. It was really easy to do. I will hopefully add more pics in the future. Maybe I will take them or somebody else will do it for me. The steps that I did were really easy. First I took a picture with my grandmothers smart phone. Then I sent it to my Gmail account. I set up a file so i could find it easily. Then I Photoshop it. And then put it upon the web. And this is it I learned a ton of new thing’s today and I hope to learn more. This entry was posted in front page and tagged blogging, String camp, T-shirt on July 27, 2013 by artsfun1. 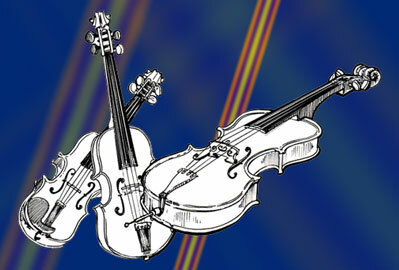 The 32nd Annual Minnesota State Fiddle Old Time Championship event is on August 3, 2013. It’s going to better then ever this year. With tons of competition and many age groups there’s bound to be lots of fun for the whole family. It’s located in Mountain Iron, MN at the Merritt Elementary School. I have been in this competition before and I medaled and earned a plaque. There are cash prizes totaling all the way up to $2,525 and divided between 23 top contestants. There’s trophies, prizes, and tons of other stuff. On Saturday there are some things you can do before you get started. Each fiddler has to perform a Waltz and Hoedown for the first round. If they advance to the finals then they get to play another Waltz, another Hoedown, and a piece of choice. And everything has to be memorized. My mother is going to be selling a book. Written and played by my very own mom. My grandpa did the art work in the book. It’s going to be pretty awesome. Yes so I hope I see you there this year. And have a good day. This entry was posted in front page on July 23, 2013 by artsfun1. Our name is Crescendo Youth Orchestra. We are located in Hibbing Minnesota. Our founder is Julie stein. We are doing this blog as resource for students and parents to come to ask questions about our group and to find out where and when events are. We are going to post many pictures of everything we are doing. We have lots of fun every day and cool experiences, learn nifty stuff and much more. Please use this site as a information center for you and your kids. This entry was posted in front page on July 19, 2013 by artsfun1.